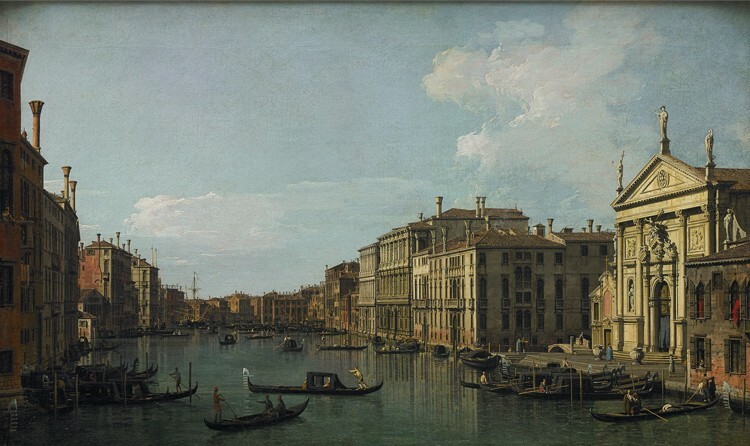 This work, on view in Seeing Nature, reflects the exhibition’s theme of Venetian scenes. 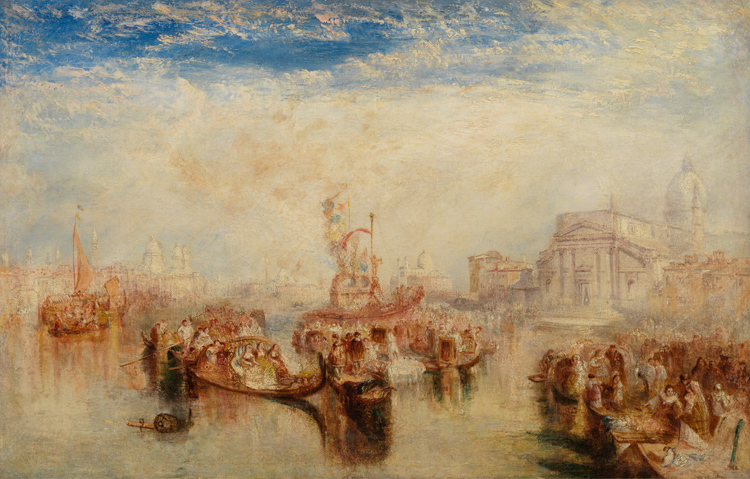 Turner showed this painting at the Royal Academy the year after his final trip to Venice. He invented the scene to pay homage to a beloved place and a favorite Venetian painter, Giovanni Bellini (c. 1431–1516). Turner imagines a great aquatic procession accompanying the delivery of paintings to the church of Il Redentore. The church’s three works then attributed to Bellini were never famous, so the subject was a pretext for celebrating Venetian culture. The luminous buildings seem to float in the city’s distinctive union of water and sky, which had beguiled the artist for decades.